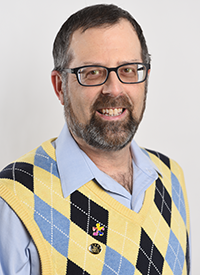 Stephen Mark Shore, Ed.D., clinical assistant professor in the Ruth S. Ammon School of Education, is well known in the Adelphi community for his efforts to raise awareness about autism and expand opportunities for people with autism spectrum disorder. This year, Dr. Shore put a global spin on his advocacy: He recently traveled to Bangladesh and Bhutan to speak about autism education, giving hope to parents that rich and fulfilling futures are possible for their children with autism. Dr. Shore is also co-leading an international study designed to improve healthcare for those with autism and Asperger’s syndrome. Getting proper care is a challenging task for people with autism, and the consequences can be deadly. Lack of good care has a profound effect on the lifespan of people with autism, which a recent study suggested is 18 years shorter than average. He is working to erode barriers to quality healthcare as one of three co-leads in a two-year, $250,000 study funded by the Patient-Centered Outcomes Research Institute (PCORI). Through input from individuals with autism, their family members and healthcare professionals, the study—Autistic Adults and other Stakeholders Engaged Together (AASET)— seeks to identify ways to accommodate patients with autism by meeting their particular needs. Two of the three co-leads have autism themselves, reflecting a growing movement to involve people on the spectrum in autism research. Along with this research and his full teaching load at Adelphi, Dr. Shore found time this April to travel to Asia to promote understanding of autism. In Dhaka, Bangladesh, he spoke to parents of autistic children, stressing the need to refocus the view of autism, moving from an emphasis on its deficits and disabilities to an appreciation and encouragement of its abilities and strengths. He delivered a similar message at the International Conference on Autism and Neurodevelopmental Disorders in Thimphu in Bhutan, the remote kingdom in the Himalayas. Dr. Shore also brought the message home to the Adelphi community in an on-campus TEDxAdelphiUniversity talk, “The Superpower of Autism,” in which he discussed the uncanny ability of adults on the spectrum to bring intense focus to a particular task. This “superpower” makes them perfectly suited for jobs requiring a high level of attention to detail, such as work in IT and software. Microsoft, in fact, has a commitment to hiring employees with autism spectrum disorder. His tireless activities also include assisting with the Bridges to Adelphi program for students with Asperger’s syndrome and related conditions, ranked third in the country for college programs for students with autism. Overseen by Mitch Nagler, assistant director at the University’s Student Counseling Center, Bridges to Adelphi provides support to put students on track to success, including help with time management, social skills and problem solving. The program has about 125 students, all of whom must meet the same expectations as every other student at Adelphi. Dr. Shore will be teaching classes this fall in new online certificate programs for educators. One is the Advanced Certificate in Autism and Severe or Multiple Disabilities, intended for teachers with master’s degrees who are certified in New York state. A second program, Advanced Certificate in Autism Spectrum Disorder, is for school nurses, psychologists, administrators and others in allied fields who do not need teacher certification. “The great thing about these online certificate programs is that it allows us to reach into the international community without having to deal with immigration and travel issues,” he said, pointing to the extensive connections between autism education and activism. Stephen Mark Shore, Ed.D., is internationally renowned for his presentations, consultations and writings on lifespan issues for people with autism pertaining to education, relationships, employment, advocacy and disclosure. His most recent book, College for Students with Disabilities (Kinglsey, 2015), combines personal stories and research with promoting success in higher education. He is a clinical assistant professor in the Ruth S. Ammon School of Education, teaching courses in special education and autism.